Principles of Environmental Economics and Sustainability was the first textbook to make a serious attempt to systematically integrate ecological and economic principles. 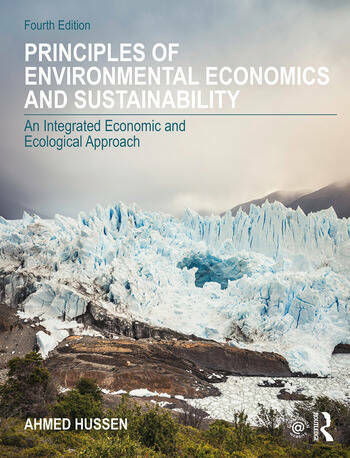 It successfully introduced ecological perspectives to the study of environmental economics while maintaining the integrity of the standard economic approach. the business case for environmental sustainability. Written in a clear and accessible way, this key textbook is an excellent resource for all students of environmental economics. With study tools including learning objectives, case studies, and charts and graphs, this volume uses real-world examples to engage both students and academics within the field. This text also accompanied by a Companion Website including resources for both students and instructors. Here you will find student study questions, interactive quizzes, and an instructor manual composed of lecture PowerPoint templates. Ahmed Hussen is the Edward and Virginia van Dalson Professor of Economics at Kalamazoo College, USA. He is co-founder of the environmental study program at the college and currently serves as the Chair of the Department of Economics and Business. In addition he has taught and conducted research internationally in Japan, Zimbabwe, and Botswana and has been awarded "excellence in teaching" in recognition of his skill as a teacher and dedication to his students.